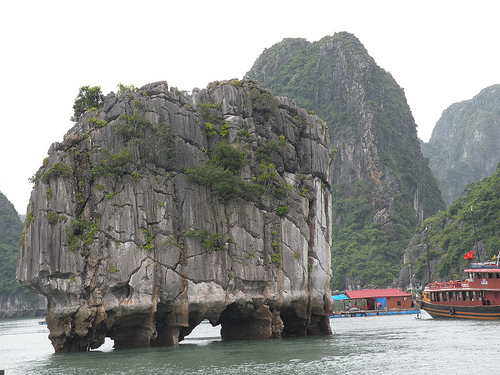 Ha Long Bay is located in northeastern Vietnam, and is part of the greater Gulf of Bac Bo. This region has almost 2,000 mysterious islands of varying sizes spread throughout its waters. Most of these islands are limestone or schist, and they are 250-280 million years old. Many of them are concentrated in the central zone of the bay, which is a commonly visited area by boat. Cua Lo is located on Vietnam’s north central coast, and has 10 kilometers of sandy beach that are close to pine forests. It is not a very touristy spot, as there are not as many facilities for foreign visitors. The water in Cua Lo is colder than down south, and the waves can get very high. China Beach is also known as “My Khe Beach.” It used to be the spot where American and Australian soldiers would land during the Vietnam War, but today is known as one of the best beaches in the country. 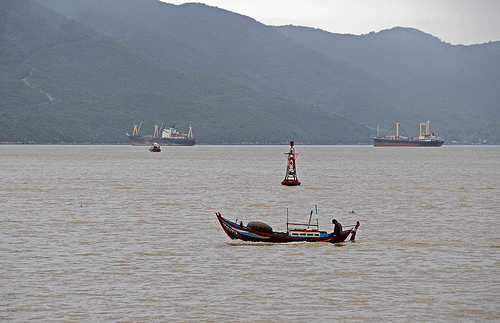 It is off of the Danang Bay, and also close to the Marble Mountains. 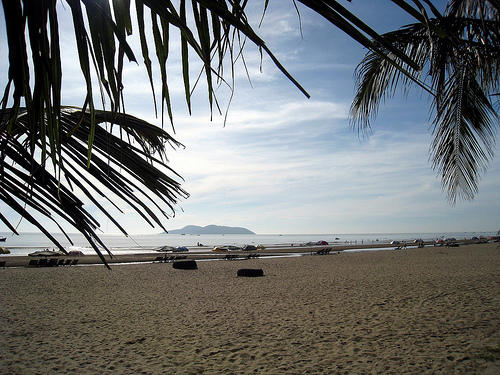 China Beach has clear waters and fine, white sands, and locals come down to the beach to exercise or play sports. The Nha Trang is a coastal city is full of many happening beaches, which are ideal places for stimulation, rather than seclusion. 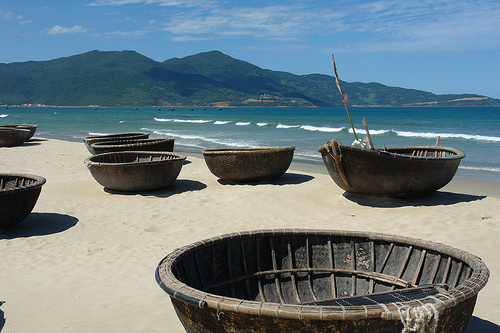 It is located on Vietnam’s south central coast, and has access to warmer waters than up north. Many different international travelers and backpackers come to explore Nha Trang; there are also excellent facilities for scuba diving and kite boarding around the bay waters. 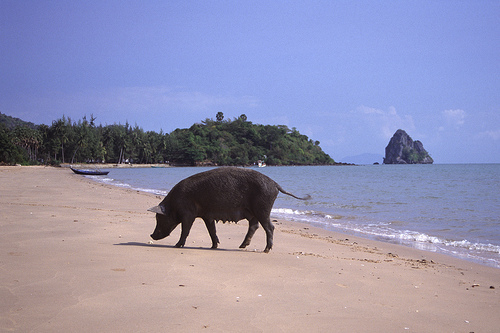 Hon Chong Beach is located in the south of Vietnam, on the border with Cambodia, and is known for having soft, white sand and tropical waters. There are also a few beautiful islands off the coast, like Hon Doc, which also have great beaches. Some interesting caves and rock formations are also located nearby. 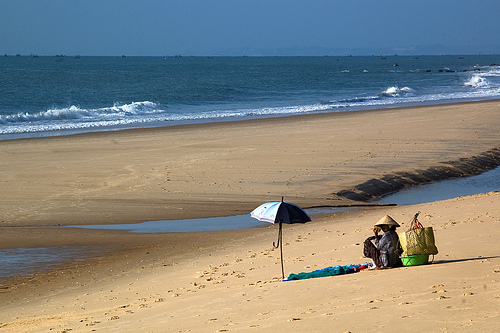 Mui Ne is a coastal resort town located in the south, near Phan Tiet, on an arm of the South China Sea. There are lovely stretches of white sand, and it is hot and dry almost year-round. This beach is a wonderful spot for wind and kite surfing with its strong breezes, and also has some sand dunes to explore.